SHM092: Shyft – Synthetic Experiments Vol. 4 – Officially released in 2015, this is a melodic gabber EP by Shyft. The focus this time is the integration of guitars. Flashing is the most up-beat track on the album, with FXed clean vocals and bright synth lines. 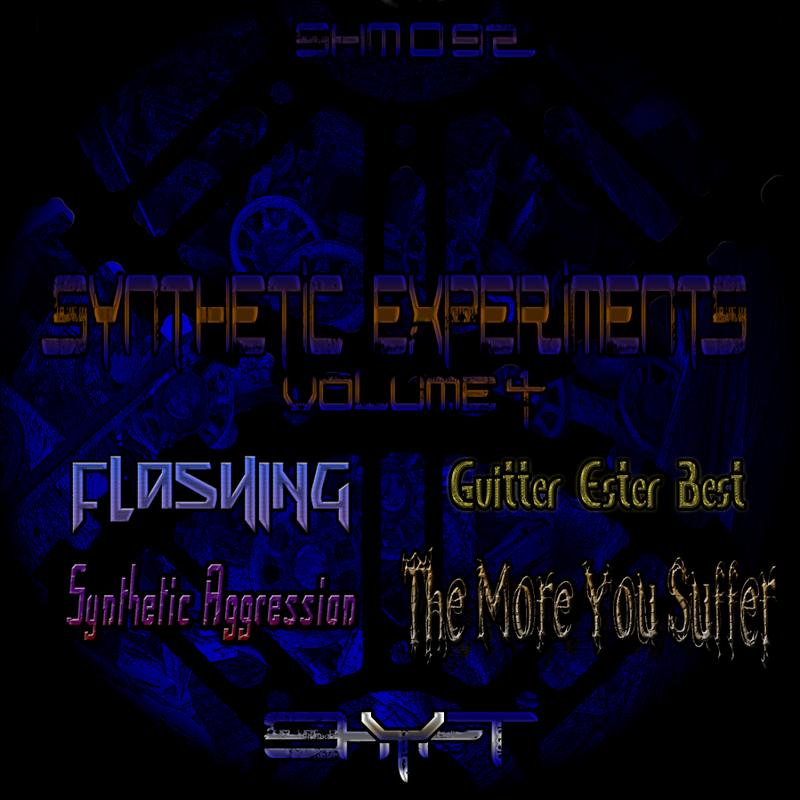 The title ‘Guitter Ester Best’ pays tribute to Guitter Ester Vest, one of Shyft’s earliest creations that mixed guitars and synthetic, distorted beats. Guitter Ester Best’s arrangement most closely follows traditions of heavy metal out of all of the tracks on this release, but is instrumental. Synthetic Aggression turns toward grungier vocals, thrash chugging, switches between standard 4/4 and triplets, and utilizes a darker main melody between more mainstream instrumental verses. Finally, the big boss of this EP: The More You Suffer is a harmonizing of cross breed and break core with a vocoded and harsh vocal chorus, drawing from metal in composition with minimal use of the guitar. The lyrics of Flashing illustrate the complex narrative of compassion as presented by Jesus Christ and different orthodox Buddhist philosophers. The lyrics of Synthetic Aggression continue the topic of compassion by contributing a touch of Kantian ethical theory. The lyrics of The More You Suffer evokes Nietzsche’s concept of beneficial suffering.